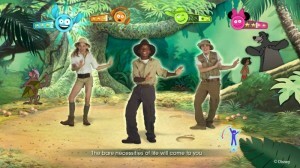 The boys are big fans of computer games and we love doing the Dance Games together, so when we were sent a copy of Ubisoft’s Just Dance Disney Party for the Wii they could not wait to try it out. I have to say the boys loved it. So did I. What’s not to love you get to dance along to Disney music with some fab scenes to go with it. There are 25 Fantastic New Dances using classic songs which will have something to suit the entire family, Jungle Book, Beauty and the Beast, The Little Mermaid, Cinderella, Peter Pan, Tangled, Lilo & Stitch , Tinker Bell, Enchanted, The Muppets, Bolt, Mary Poppins, and Aristocats. Dances from the hottest Disney Channel shows: Shake It Up, Phineas and Ferb, Jessie , Hannah Montana, A.N.T. Farm, Wizards of Waverly Place, Camp Rock, High School Musical and Good Luck Charlie. If there is a song or a couple of songs that your children like better than the rest then you can select non-stop shuffle mode for these ones only. This is great for little ones who like just certain things. Plus they can also create their own playlists. The backgrounds look stunning and come from some of the Disney TV Shows and Movies. You can play up to 4 players or you can dance around the living room on your own. I’ve done that one more than one occasion. We played with the whole family, even hubby joined in and the 4 of us competed for the highest score. I’m sure it was Tyler who won. There is also a Balloon Mode feature which is unique to the Wii. It’s a lot of fun and allows children to compete against each other to gain more items and more points shaking their controllers. 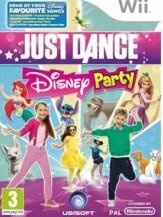 The idea of the Just Dance Disney Party game is similar to the other Just Dance games, but with Disney songs and fantastic Disney backgrounds. Players copy the moves onscreen with their controllers and try to get the most amount of points by doing it as accurately as possible. I think that this game is fantastic, a lot of fun dancing and helps both the children and adults get in some fitness while having a lot of fun. The songs are great to dance to and there are many that everyone knows. I know my hubby love the bear necessities one, I’m a fan of Tinkerbell and Lucas loves Tangles and Tyler The Little Mermaid, so there really is something for the whole family. It would make a perfect Christmas present for both young and old. It’s just a lot of fun and lots of smiles and happiness will come from playing this game. Just Dance Party is available on the Wii and the Xbox at many stores, priced between £20-30. 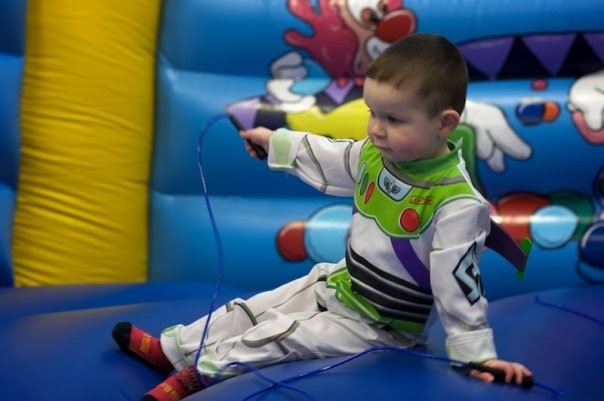 We were also sent a Buzz Lightyear costume from Rubie’s to go with the game which Lucas is modelling here when he was at a birthday party recently. He loves to dress up and it was fun to see him dance in the costume.